Like an air out of a balloon, so goes the Seahawks when it comes to playing on the road. They seemed to have everything well in order Sunday in Sunlife Stadium in Miami. Then the final 15 minutes began. The letdown Sunday in the final 900 seconds of play saw the Dolphins pile on 17 points, the final three on the final play, as Miami beat Seattle 24-21 in rather stunning fashion. 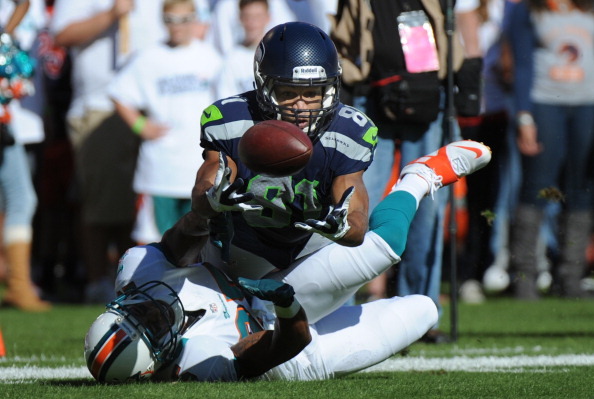 The Seahawks punted from midfield, pinning the Dolphins at their own 10 with 1:32 left and the score tied at 21. They let Miami rookie QB Ryan Tannehill calmly pick his way down the field, setting up kicker Dan Carpenter for the game-winner from 42 yards out at the buzzer. The Miami rookie was outplayed most of the day by Seahawks rookie thrower Russell Wilson, who went 21-of-27 passes for 224 yards with a pair of touchdowns. The final drive though belonged to Tannehill, and he took advantage of a soft Seattle defense that allowed him to move down the field with completions of 19, 25 and 7 yards, as well as a 15-yard scramble. Overall Miami scored 17 points in the final 8:08 to steal the win. 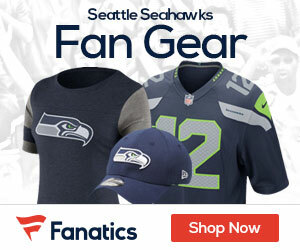 The Hawks had a chance late, as Wilson had the team at the Miami 40 and threatening for a go-ahead score with less than two minutes to play, but a screen pass lost six yards and a sack pushed Seattle back to force a punt. That was all the opening the Dolphins needed, and it was enough to send the Seahawks home 6-5 instead of 7-4. Things won’t get easier for Seattle, as next week they are back on the road, taking on the 8-3 Bears in Chicago.